Organizations are in constant pursuit of increased profitability through cost reduction as this is a vital factor for competitive advantage and strategic positioning in the market. To ensure sustainable development of a business, an effective cost management strategy is required. 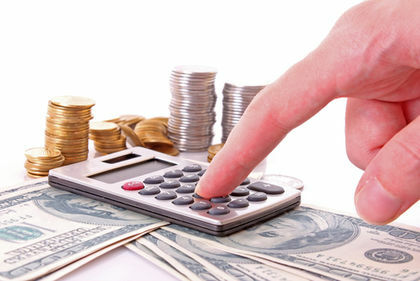 A good cost management system allows companies to predict expenditures and prevent the risk of going over the budget. The main objective of cost management is to reduce costs while strengthening the strategic positioning of the firm. Some organizations use cost management plans for specific projects or sometimes for the overall business model. The lack of cost management can affect profits and business processes to a large extent. To prevent such occurrences, advanced training in this field comes as an important part to be able to manage costs as well as invest efficiently for increased return on investment. Employers need to ensure that their staffs have the required skills for an effective cost management plan. This represents a key component of business operations to ensure that the overall budget is kept under control. A variety of subjects need to be taken into consideration when dealing with cost management training. For instance: the cost management training provided by Procurement Academy includes the core elements required to help in the successful deployment of a performing cost management strategy. Some of the topics covered consist of the following: introduction to strategic cost management for buyers, cost calculation, cost estimation, total cost of ownership and value analysis. Delivered through application-based e-learning solutions, these courses can improve the performance of employees and allow them to have a broader understanding of cost management. Although traditional learning is an effective way for training employees, digital learning can prove to be equally effective due to its accessibility, practicality and flexibility. The training will ensure that employees acquire the necessary knowledge and skills in this field and apply what they are learning directly to their job. In this way, employees will be able to take the best decisions based on best practices, delivered through world-class training, as far as cost management is concerned. Since cost is a key element for the success of all businesses, cost management training can act as a catalyst to help in taking important measures and managing costs in the most professional and competent way, be it for the business as a whole or for a specific project. Cost management can lead to major benefits for an organization. A cost-effective process would help a business generate a large amount of savings every year. It also allows the effective use of resources for optimal results. Cost management involving the methodology of should-cost analysis can help an organization to determine the cost of different products and services. This type of analysis is used for purchases of all types, from commodities to capital equipment and new products. The should-cost figure becomes a benchmark for whether a supplier quotation or bid is reasonable as well as for understanding potential improvement opportunities. This approach can be used to facilitate improvement both within the organization and with suppliers. Therefore, it increases the organization’s understanding of costs. It is used as a tool to work more closely with suppliers and to help support evaluation of other cost analysis approaches, external data and bids. Cost management allows organizations to measure their performances through financial result that is through the size of its earnings. Through cost management, companies will be able to determine the two major factors which make up the value of the firm: Risk and Profitability. Financial decisions which increase the risk will reduce the value of the firm and on the other hand, financial decision which increases profitability enhances the value of the firm. At the end of the day, an effective cost management will allow organizations to make good financial decisions which either has an impact on risk or profitability. With a performing cost management structure, organizations make optimal use of their resources. Effective cost management plays an important role in the maximum exploitation and utilization of the enterprise resources. A good utilization and control over financial resources is of great importance. It gives maximum returns by increasing the productivity of capital funds. Project cost estimating: When developing a cost estimate, you need to consider all of the resources that will be used by the project. For example: labor, materials, equipment, services and facilities. Project cost budgeting: Once you’ve estimated the costs for all of the project activities, you will have the information you need to create your project’s cost baseline. The approved cost baseline forms the budget for your project. The cost baseline for your project is made by combining the cost estimates of the individual activities over the life of the project. Your project’s expenditures will be measured against this baseline. Project cost control: After the approved budget and cost baseline, the project is ready to move into the execution phase. During the execution phase of a project, the status of the activities needs to be monitored. As the global market evolves, companies need to constantly cope with changes while making sure that there is no mismanagement in any important aspects, mainly in the cost sector. This is a critical factor that governs the business dynamics and ensures business continuity and sustainable profitability. A lack of cost management can greatly affect profitability and business processes. This demonstrates the vital importance of cost management training to upskill employees’ capabilities so that they can use best practices and take critical decisions efficiently as far as managing cost is concerned.